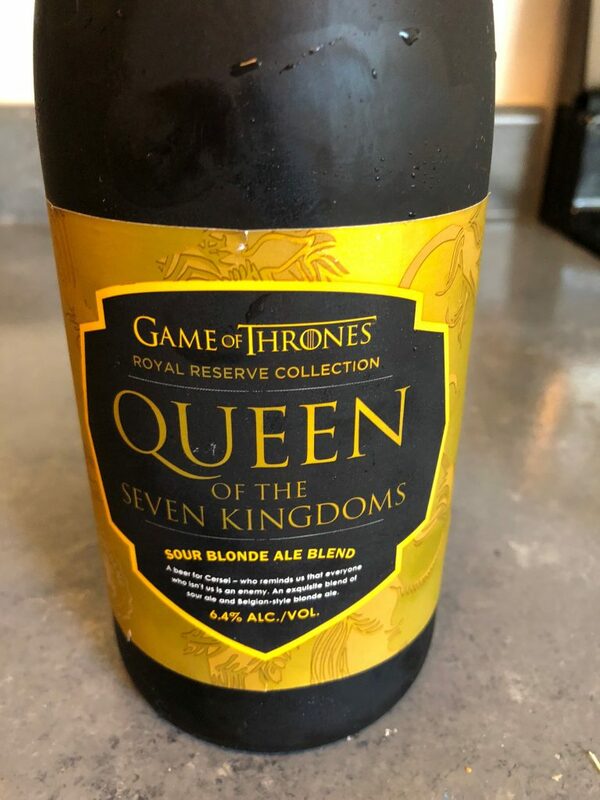 A beer dedicated to Cersei Lannister, Queen of the Seven Kingdoms, may seem a bit odd. I mean, she’s not the most well-liked character on the show and, from what I gather, might be the evilest of all Evil Queens. Perhaps that’s why Brewery Ommegang named their Belgian sour ale for her. She may be rotten to the absolute core, but the beer is one of the smoothest sour ales I’ve enjoyed. 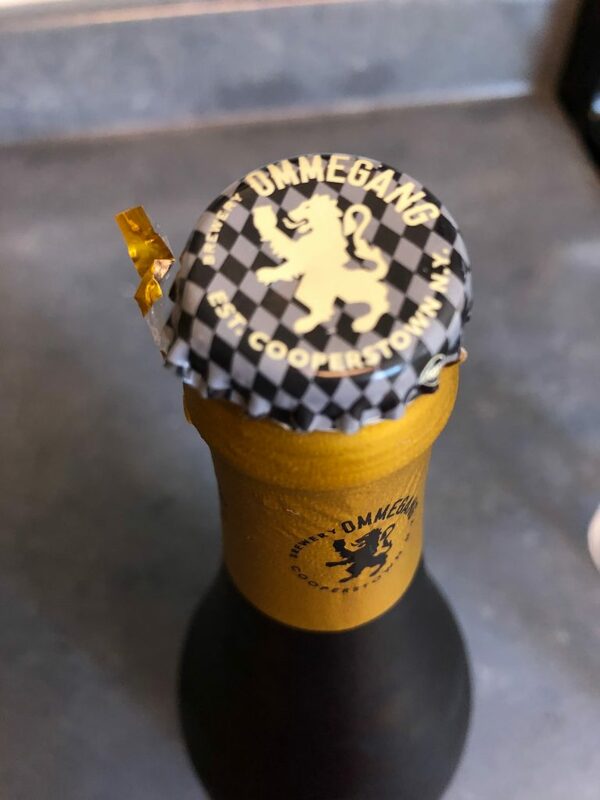 HBO & Brewery Ommegang sent two bottles and I patiently waited for wine club to roll around to chill and serve. It’s always important for me to get multiple opinions about new drinks. Wine night was the perfect time to introduce the Queen to my circle of wine-loving friends. 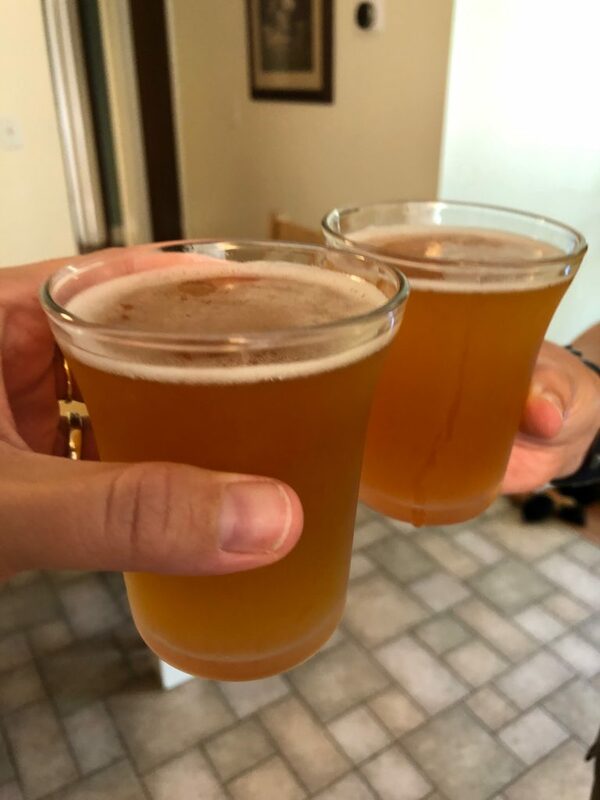 I grabbed our glasses, poured the beer, took a few tentative sips and was completely and utterly thrilled with the taste. As a typical non-beer drinker this is actually a beer I would drink again. We didn’t crack open the second bottle as I had plans to take it to my GOT loving son, but, sorry Dylan, that bottle is staying with me! The Sour Ale wasn’t bitter or hoppy like I think just about every beer tastes. Instead, it was light, smooth and refreshing, everything Queen Cersei isn’t. Toasting with friends we finished off an entire bottle before we knew it. The group of wine drinking friends took to the Queen of the Seven Kingdoms sour ale like fish to water. Our group might just have to expand to be a beer AND wine club. 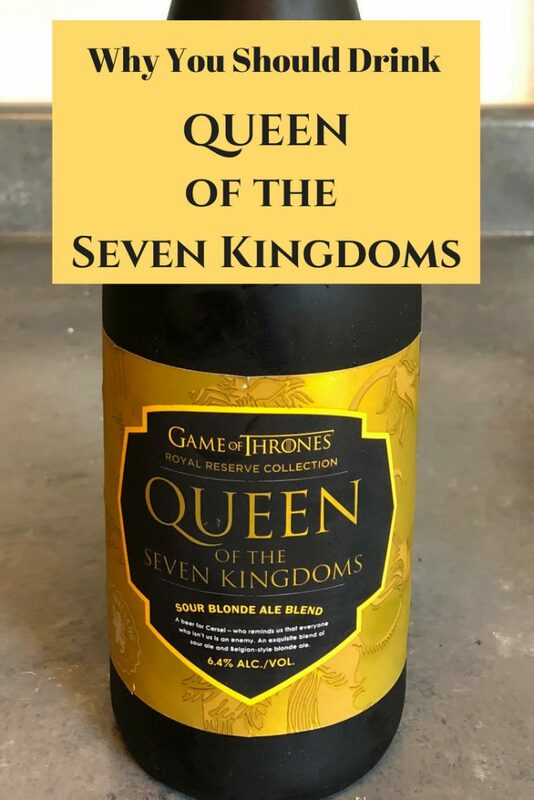 An exceptional blend of Belgian sour ale and Belgian-style blonde ale, Queen of the Seven Kingdoms is fitting for the fair-haired ruler who is as acerbic as they come. Now available throughout Ommengang’s distribution network it will be offered both on draft and in 750ml bottles. Suggested retail price is $12,99 and worth every last penny. Queen of the Seven Kingdoms pours a pale gold color with a brilliant white head. Aromas of melon, citrus, and lactic acidity meld together with fruity esters from the Belgian yeast. Tart citrus flavors soften to sweet malt flavors with notes of apricots. The finish is dry and crisp with a subtle citrus bite from the lemon peel. It pairs well with sharp aged cheeses and salty cured meats, red meat or dark poultry, and spiced desserts like pumpkin pie or apple tarts. Sold where you find all your favorite beers!